Lina is excited, the best thing about living in Melbourne in 1956 is the Olympic Games and they are finally here. Lina is fit to burst about her school paper and the chance to actually go to some of the Games. She misses her friend Mary, and wonders how she will ever get the paper finished with Sarah. Other things are going on too, as Lina comes to understand how much some people don’t like those from different backgrounds. In the midst of all this she strikes up a friendship with a boy who shows her a different way of looking at things. His idea will change things in a way she never thought someone of their age could. Lina is an appealing girl with with goals and very real problems both at school and within her family. 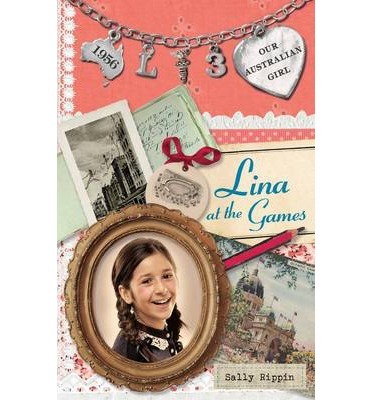 Rippin has placed her wonderful characters in the midst of a very real recreation of Melbourne in the late 50’s. The things Lina experiences seem so real, the excitement of that time almost tangible. This series is great for readers after something real and historical. I received my copy as an ARC from the publisher. Lina lives in Melbourne, she goes to a fancy school on a scholarship and dreams of being a writer someday. Her strict Italian parents have a very different idea for her future. Lina spends her time torn between two worlds. To fit in at school she must keep her home life secret. Not even her best friend knows the truth about where she comes from. How long can Lina keep lying to keep all her secrets? Lina is a great character, passionate and torn. She wants to do right by her parents but has her own dreams that she is desperate to follow. 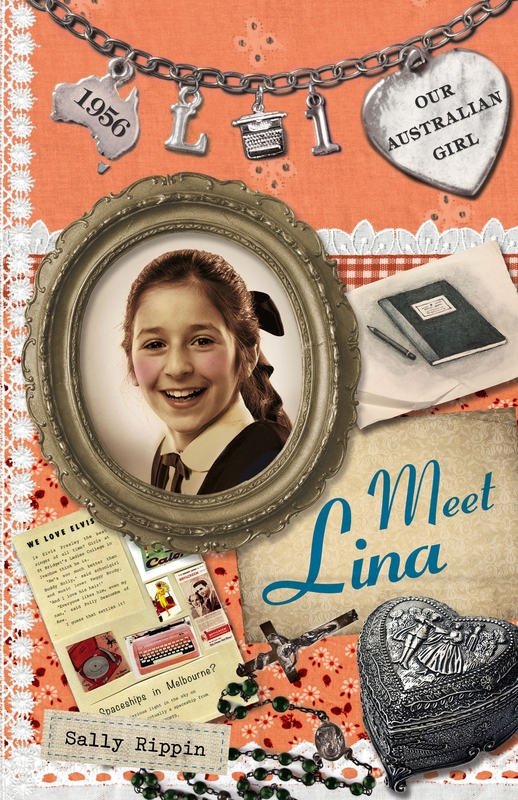 Lina’s story is about finding a place to belong, a place for her to be accepted and honest about who she is. This is merely the first part of Lina’s story and I look forward to seeing how she changes and grows, how she is able to come to terms with the two lives she lives. The wonderful thing about this series is it’s distinctly Australian flavour and it’s great historical backdrop. Okay it is that time of the year again where anyone and everyone puts together lists of their top picks of the past year. I am going to be no different, I will, however, not be doing a top 10. What I have put here are the ones that really stood out, but truthfully I had many wonderful reading experiences this year just about gone, and I did limit this list to those books published in 2012. Let me start with the youngest first and believe me there were so many really cool picture books this past year but here are a few that stood out. Fiction 4 – 9 years. It is swimming lesson time and Billie has a belly ache. She is feeling really nervous. It was okay when the class were in the little pool but this year they are moving up to the big pool. 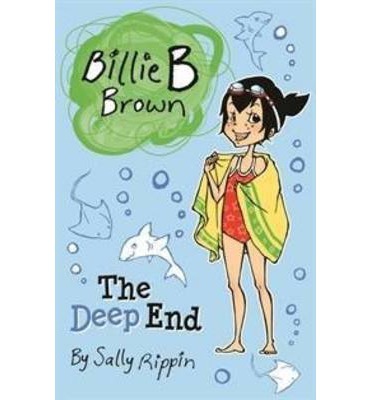 Her best friend Jack is a really good swimmer and wants them to be in the same group but Billie knows she is not that good. She is worried she is going to be the only one in her class who has trouble. Like always these books have a feeling that needs to be dealt with – a situation to be overcome. Rippin deals with these things in a light and entertaining way provides us with dual purpose books. You can just enjoy them or use them to bring up topics. Billie is so excited because she is going to the movies with her friend Rebecca and Rebecca’s older sisters. The thing is they like scary movies. Billie says she is big enough to handle that but is she? What happens after the movie? 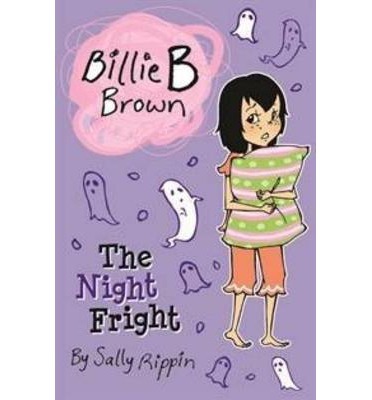 Another fun addition to the Billie B Brown series looking at fear and growing up. Billie finds out it is okay to say she is a little afraid. She doesn’t have to be something she isn’t. I like these books because Billie is allowed to be a kid. She is allowed to experience a whole range of emotions. These are entertaining stories but also provide openings to discuss things kids may need to talk about. Jack is feeling a bit grouchy because he has no one to play with. Then something wonderful happens, he finds a lost puppy. The puppy is so cute and he really wants to keep it. He names it Scraps even though he knows he will have to give it back if they find the owner. Maybe there will be a way to convince his parents to let him keep Scraps. A cute little story about a little boy and a little boys best friend. This series of books continues to be great for beginning readers with its large font, easy to understand and fun stories. Jack is a wonderful character and Rippin gives her character the opportunity to feel things so you can bring up certain issues with your children (such as feeling grouchy) if you are so inclined. Otherwise you can just sit back and be entertained, there is such joy in a story of a boy and a puppy. This time the B stands for Baby. Billie is going to be a big sister and she is very excited. She has decided to give the new baby her favourite teddy bear Fred as she won’t need him any more because she will be a big sister. Then when the time comes for Billie’s mum to go to the hospital Billie comes to think that maybe there are times she still needs Fred. A cute little story about all the nerves, excitement and changes that happen when a new baby is expected into a family. Billie as always is enthusiastic and fun and in the process she learns a little something. 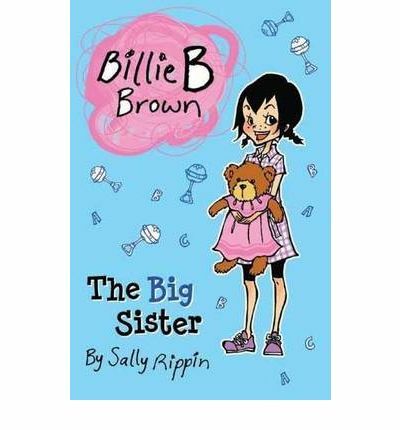 Billie B Brown books are a lot of fun and they let kids know it is okay not to always feel good and happy about different things.Billie is a great character and feels so real and identifiable to readers because she is allowed to experience, this is valuable for our children to read about.